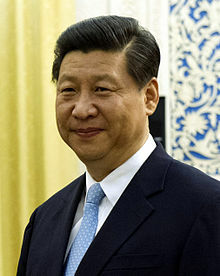 Do you know that the present leader of China is trained as a chemical engineer from Tsinghua University, China? Let’s get to know about this powerful personality. Jintao in March next year. and poor, and protecting the environment. environment,” Xi said, in a transcription published by the South China Morning Post. including the expansion of Sinopec’s paraxylene plant in Ningbo. major industrial projects must conduct a ‘social stability risk assessment’ to gauge the tolerance of local communities. Personal Note – As for me, I would like to see how the energy and chemical production sector evolve during his reign. This is pretty much interesting since I’m working on and monitoring the progress on olefin production in China. Before visiting China, I really underestimated this huge country. But when I was there, I think China is going to be a very strong industry leader and influencer. I’m impressed with the technology growth and application.